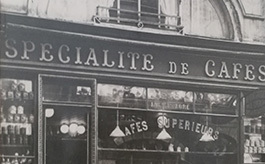 In the roastery on the rue Montpensier, tucked behind the Palais-Royal gardens, Verlet is the oldest house to roast and brew all its craft coffees. 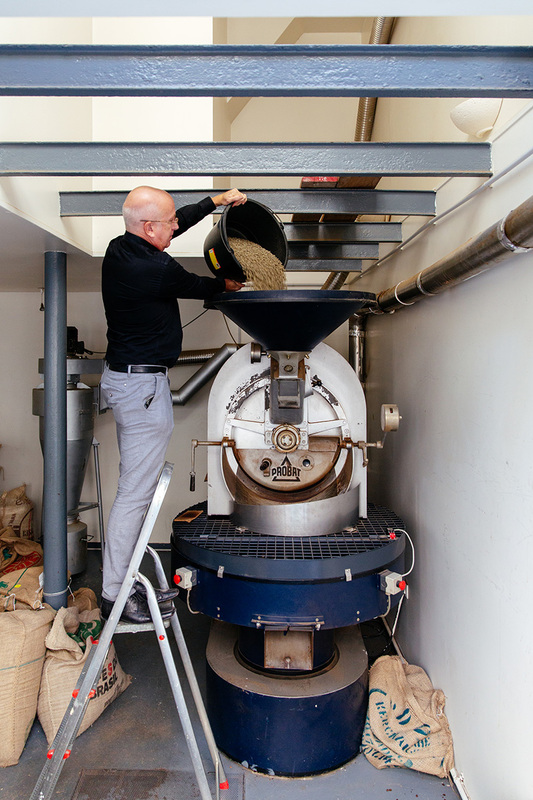 Every day in the Parisian workshop, the beans are roasted according to type and depending on the weather. This traditional and skillful roasting dates back to the 17th and 18th centuries. 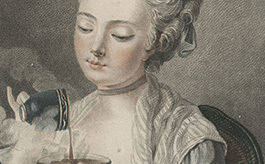 It is a characteristic of exceptional French taste, renowned for its colour, « Robe de Moine ». 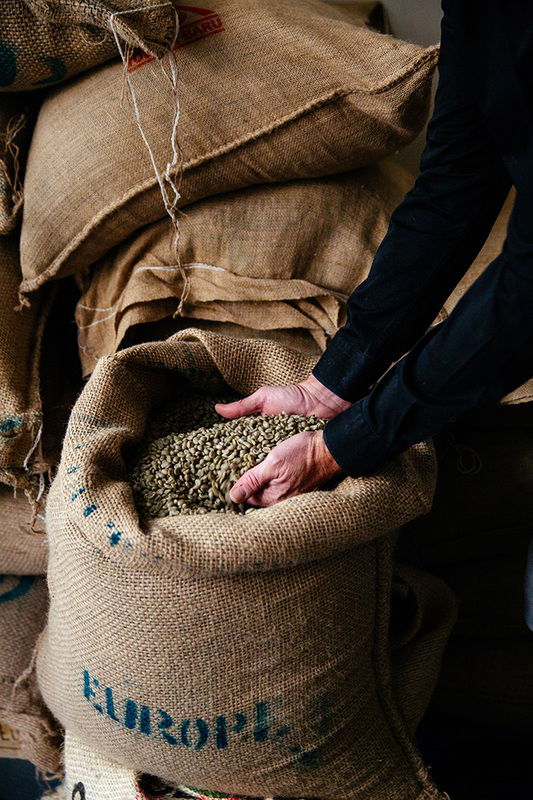 If the beans are too green, the aromas are overwhelmed and the coffee too acidic. 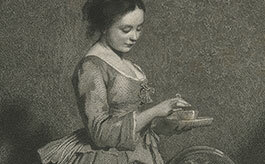 Over roasted, the coffee is bitter with a dulled fragrance. A delicate balance! 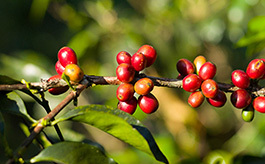 If unripe, immature or under roasted, the coffee will be too acidic. Over roasted, it becomes bitter and too strong. Verlet always keeps in its cellars a selection of approximately 30 single origin pure coffees as well as rare and precious yields such as Bourbon Pointu from L’Ile de la Réunion in the Indian Ocean or the exceptional Sainte-Hélène from the eponymous small island in the South Atlantic Ocean. Protected in burlap bags, in discreet shades of pale green, beige or light yellow, they are still odourless and almost tasteless, depending on the region. 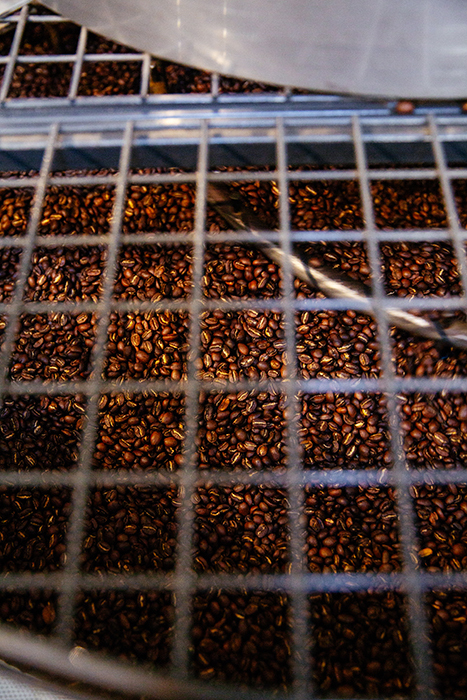 Every day in the Parisian workshop the beans are roasted according to type and depending on the weather.